With the notably lower price tag, Samsung Galaxy S10e Australia has a very different feeling than its more expensive brothers i.e. S10 and S10 Plus. 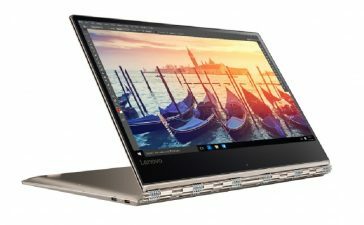 It’s considerably less and doesn’t have a curved Super AMOLED panel that flows into the metal frame instead of a more traditional flat panel. Even though being smaller and budget-friendly as compared to S10 and S10 Plus, Samsung did not skimp out on build quality. In its back and front, a Gorilla Glass 5 still curves and the rear glass is turned into an ergonomic frame. The S10e has an IP67 water resistant rating and three rear cameras have been reduced to two with Samsung nixing a 2x optical zoom. Let’s find out more in our Samsung Galaxy S10e Review below! The official Samsung Galaxy S10e Release Date Australia is March 8th – like all other countries. One can, however, get their hands on one as it’s available to pre-order from an extensive amount of retailers and stores all over Australia. 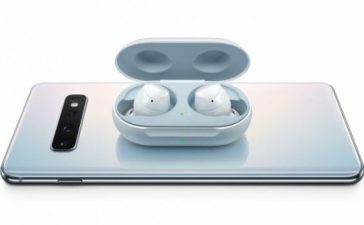 Most important of all, Samsung’s pre-order bonus of a free set of Samsung Galaxy Buds is only for its bothers – S10 and S10 Plus. You wouldn’t get free buds when pre-ordering S10e. 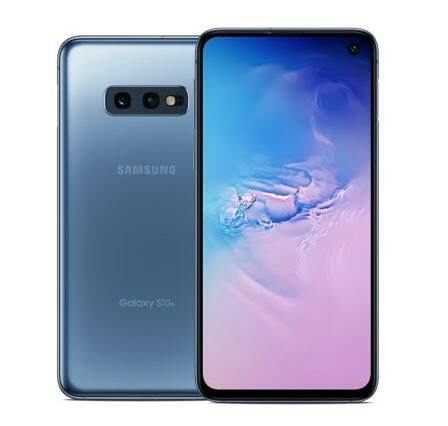 The Samsung Galaxy S10e Price Australia starts from AU$1199-1250 which is making is slightly cheaper as compares to last year’s Samsung Galaxy S9 but it’s a lot more expensive than some of its biggest Android rivals such as Honor View 20 (AU$799-850) and OnePlus 6T (AU$850-890). 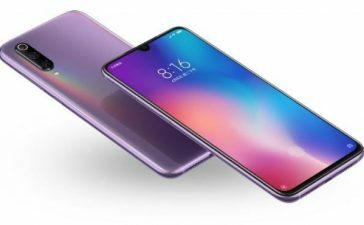 Apple got a handsome share of criticism over pricing of iPhone XR and it is most likely that Samsung will be headed into the same hazardous waters with S10e. 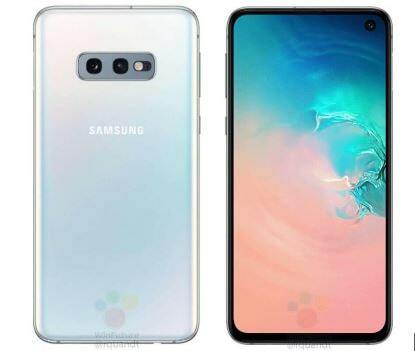 The Samsung Galaxy S10e Specifications include 5.8-inches Dynamic AMOLED display, Android Pie 9.0 OS, Qualcomm Snapdragon 9820 Chipset, 6GB/8GB of RAM128GB/25GB of onboard memory and 3100mAh non-removable battery. Unluckily, one of Samsung Galaxy S10’s most eye-catching factors is something its expensive brothers don’t have a smaller size. It’s measuring a size of 5.8-inches with dimensions 142.2 x 69.9 x 7.9 mm. 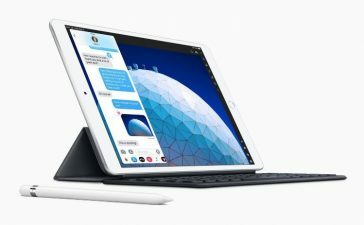 It’s indeed easier to manage for more petite hands and it’s mind-boggling for those who don’t like having biggest smartphones in their pockets. It’s a smaller version with a glass back and front sandwiching an aluminum frame. However, its flat display lacks its bigger brothers’ exaggerated curved borders and appears a little lower in comparison. The Samsung Galaxy S10e comes with 5.8-inches display which is based on Dynamic AMOLED Technology – very much like its bigger brothers, S10 and Samsung Galaxy S10 Plus. Unfortunately, there is no fingerprint scanner available in the screen and Samsung has downgraded QHD resolution to just full HD+ or 1080 x 2280 pixels. However, the underlying technology for the display still exists. The Dynamic Super AMOLED is still the same as its brothers (as mentioned above) and it is still able to use HDR10+, making everything on the screen deeper and vibrant. On the display of the S10e, everything looks better, as small as it is. 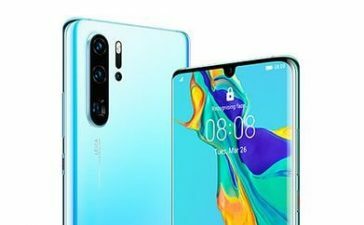 Instead of three like S10 and S10 Plus, Samsung Galaxy S10e Australia has two rear cameras. Fortunately, instead of the much more useful ultra-wide camera, Samsung nixed the 2x optical zoom camera. 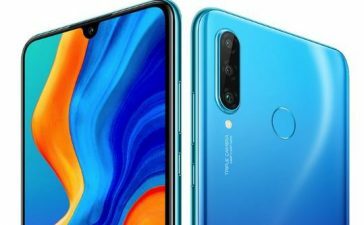 Apart from the failure to have the 2x-zoom lens, you get exactly the same Galaxy S10 and S10 Plus cameras on Galaxy S10e – 12MP main camera with an aperture of f/1.5-2.4 and a 16MP ultra-wide camera alongside a bunch of features such as 4K HDR10+ shooting at 30fps/4K shooting at 60fps, Dual OIS, 960fps, Super Slow-motion Video and more. 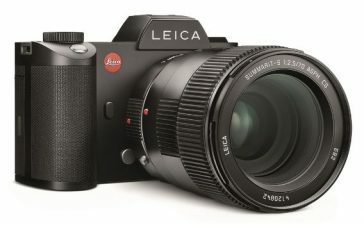 This variable aperture feature still allows the primary camera to move between f/1.5 and f/2.4 depending on the amount of available light. The Pro settings in the camera UI can also be used to switch to it. As far as image quality is concerned, captured images are amazingly great. The dynamic range is good and when you take pictures in low light conditions, the camera does not struggle a lot. It’s indeed true that Samsung always used two types of Chipsets for its flagship smartphones. We always get their homebrewed Exynos Chipset for devices sold in Australia and Samsung Galaxy S10e Australia alongside S10 and S10 Plus are no exception. The S10e comes with Exynos 9820 Chipset whereas US customers get Qualcomm’s Snapdragon 855. Some potential users, according to online sources, complained that the Exynos 9820 is slower than the Snapdragon 855. Though it’s not deniable that Exynos 9820 is slower as compared to Qualcomm Snapdragon 855 thanks to its 8-nanometer manufacturing process compared to Qualcomm’s 7-nanometer process. Well, it’s not really that bad. So, there is nothing to be worried about. 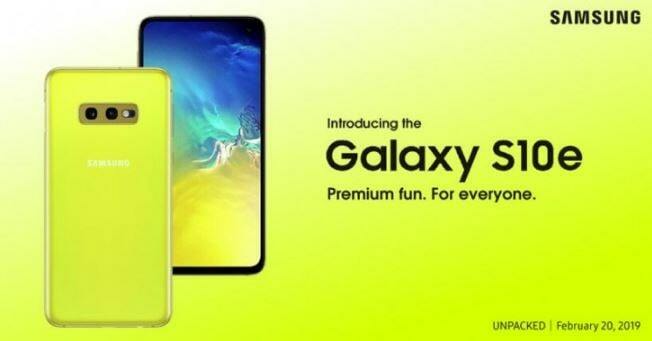 The 3,100mAh battery, which is a few hundred mAh less than those in their biggest brothers, comes with Samsung Galaxy S10e. Online sources have claimed that they were a little worried about the length of the regular use of the Galaxy S10e battery. Their Galaxy S10e PCMark battery score puts the battery life on a single charge for approximately 9 hours, which is just sufficient to get you through the day. Just like the bigger brothers, the Galaxy S10e offers Fast Charging, Wireless Charging, and Wireless Reverse Charging. 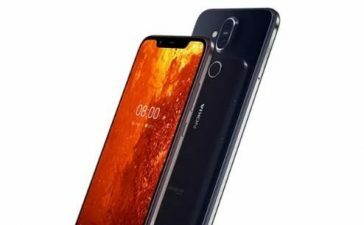 The latter isn’t going to be too much for other wireless smartphones as it doesn’t need much charge to spare with its little battery. 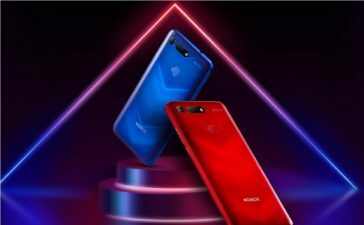 7.9Finishing this off by saying that it’s indeed a flagship smartphone which is loaded with a host of features one would want. 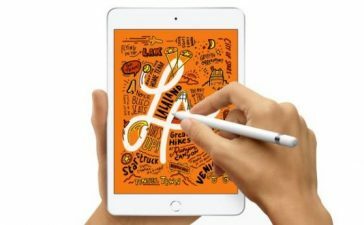 It’s equipped with Fast Charging Technology as well as wireless charging support. It’s dustproof and waterproof and is being protected (in fact well-protected) by a Corning Gorilla Glass. Performance-wise, it’s up to snuff and doesn’t show a sign of lag while multitasking or playing games. 3100mAh, though, not as good as its rivals but a moderate user can last all day long with ease. If you don’t mind spending a few extra bucks, it’s an excellent option, for now, you should go for without further ado.